In 2011, Anne Kubitsky began asking “What makes you grateful?” and invited people to write or draw on a postcard and mail it back to her. She placed the postcards in public places such as college cafeterias, post offices, parks, community centers, libraries and cafes. She eventually began getting responses from all around the world. 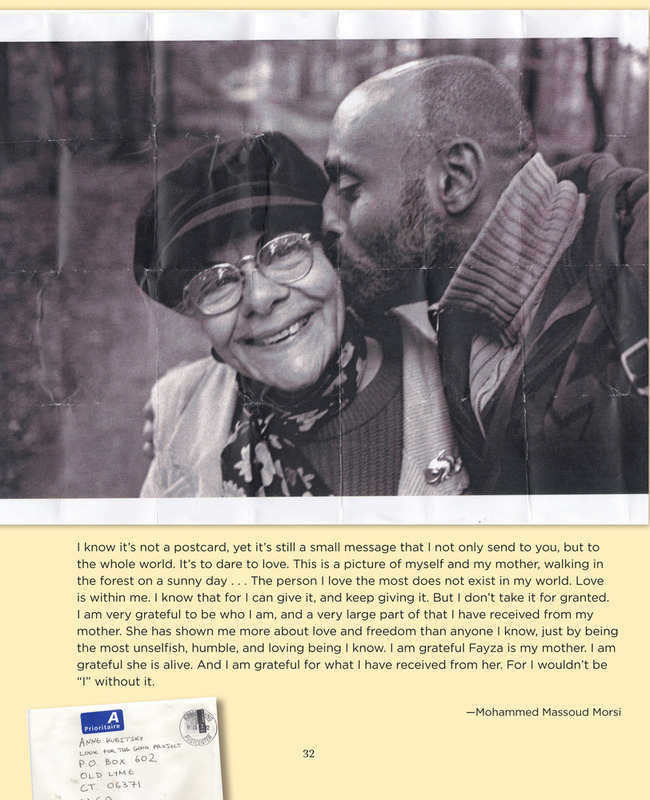 Kubitsky gathered a selection of the postcards for her new book “What Makes You Grateful?” The postcards include stunning artwork, heartbreaking stories, and sincere expressions of gratitude. I have this little saying, “I am so in love, and love is so in me”. Thanks for reminding me.